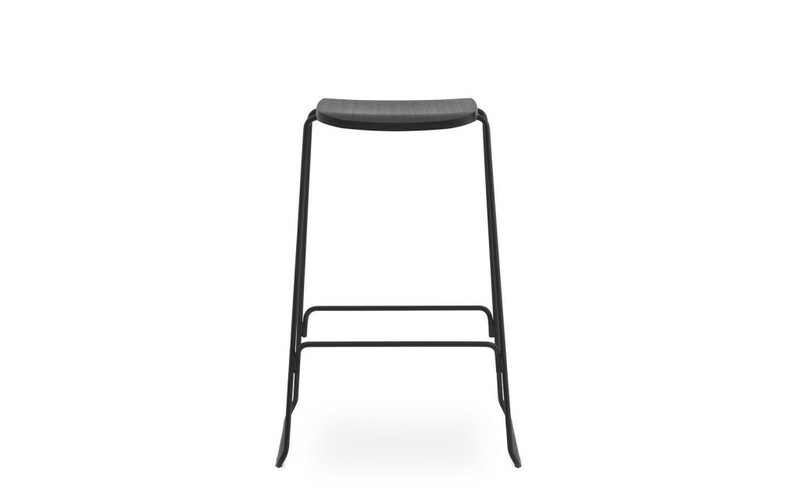 available in: Oak with Chrome frame or Lacquered Black Stained Brown Ash with Black Metal frame. 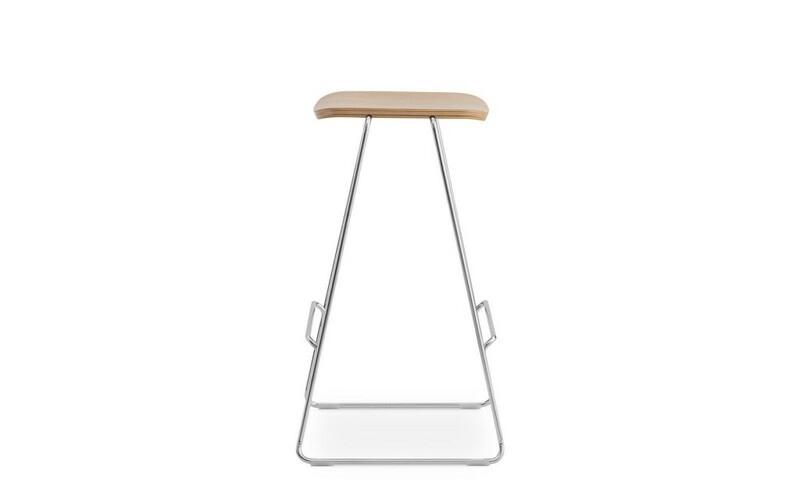 Simple, welcoming, versatile. 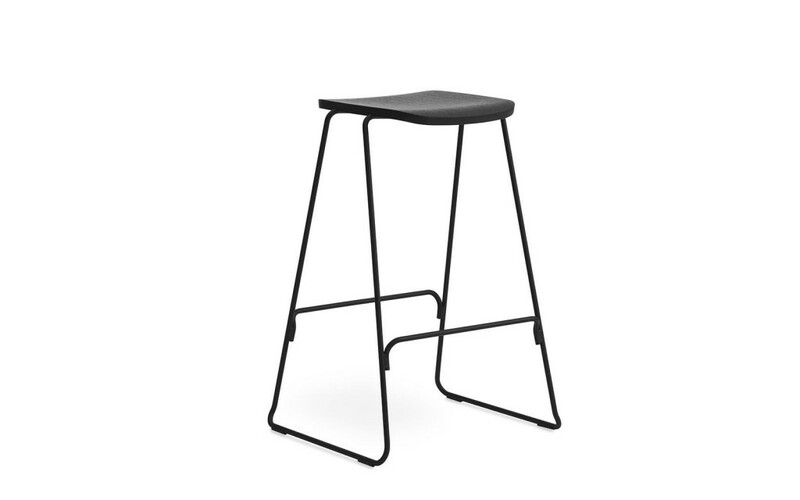 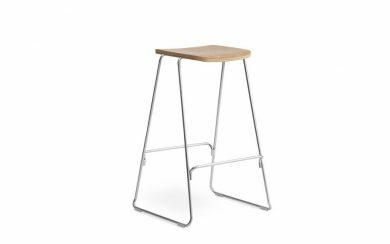 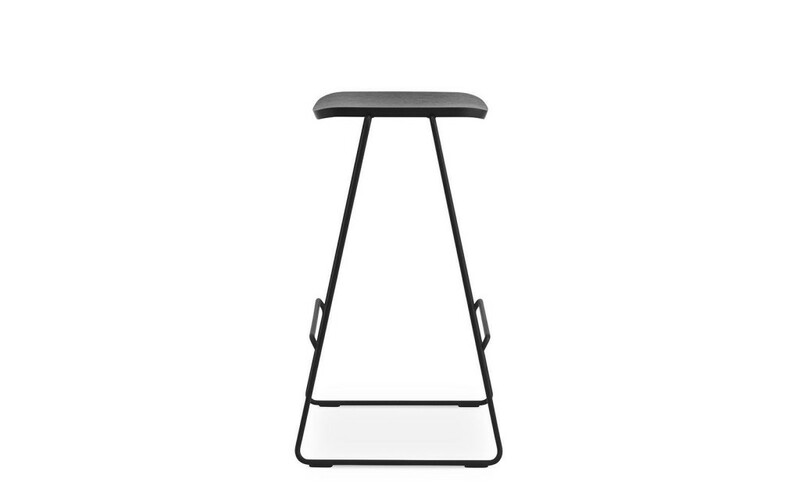 The Just barstool is designed as an extension to the Just chair, and inherits its signature elements: the clearly defined shell shaped as a molded “sandwich” of hard and light veneers as well as the light steel base, which is discretely integrated in the molded shell, so that the chair naturally comes together as a whole.